Heavy handed British slugger Oli Thompson needed less than two rounds to finish Roman Wehbe in devastating fashion in the main event at Abu Dhabi Warriors 5 on Saturday. Following a pair of tough losses in Bellator, Thompson exited the American based promotion and started seeking fights globally. Thus far through his first two fights, he’s found a lot of success. In his latest matchup, Thompson took on a Russian veteran in Wehbe, who started fighting again in 2017 after taking a nine year absence from the sport. 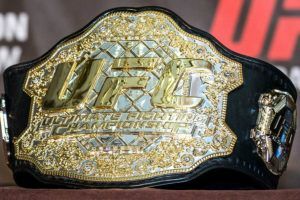 Unfortunately, Thompson gave him quite a rude welcome back with a staggering TKO loss in their heavyweight fight that capped off the show from Abu Dhabi. As soon as the action got started, Thompson came after Wehbe with a barrage of punches as the two sluggers just decided to stand and trade shots on the feet until one of them finally toppled over. Following the initial flurry, Thompson was able to start landing punches with more regularity but Wehbe refused to go away and just kept coming back at him with wild combinations while winging shots at him. Wehbe struggled to land with consistency as he wasn’t setting up his combinations but rather just lunging forward with massive shots trying to land the knockout with every punch thrown. Towards the end of the opening round, Thompson managed to get Wehbe down where he began employing a ground and pound strategy with some stiff shots landed but the Russian managed to survive until the final bell. Things only got worse for Wehbe in the second round, however, as Thompson was still constantly stalking forward with big looping shots and landing with power behind every blow. With each shot landed, Wehbe’s already bloody nose was just getting mashed and the chances of his staging a comeback seemed nearly impossible. Finally, Thompson landed a nasty punch on the feet that put Wehbe down on the canvas and the end was near for the Russian heavyweight. With Wehbe laying prone on the mat, Thompson followed him to the ground where he began unloading a series of powerful punches that forced his opponent to roll to his stomach, cover his head and hope the onslaught would stop. Thompson landed a few more punches from the top and the referee finally swooped into save Wehbe with just over one minute remaining in the second round. 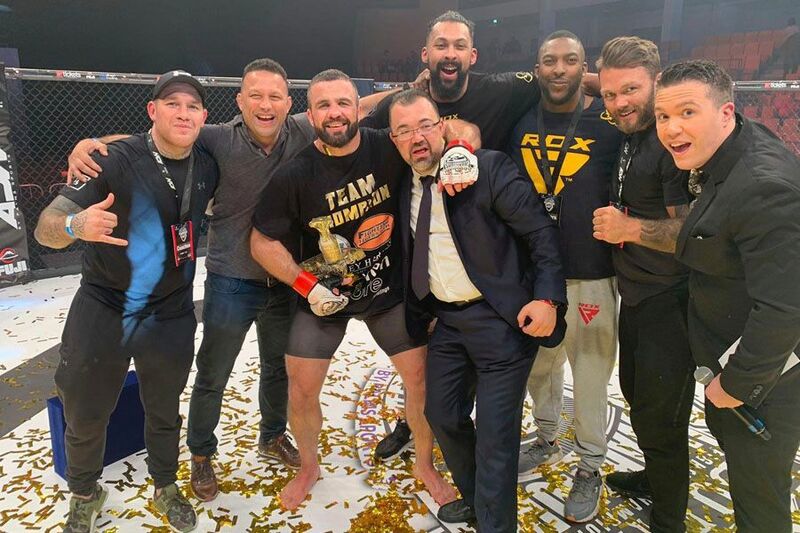 Thompson earned the TKO victory — his second in a row — as he made quite a statement with his latest win in Abu Dhabi Warriors 5. Thompson moves to 19-10 in his career overall while putting together a solid 7-2 mark in his past nine fights. Wehbe drops to 7-7. In addition to Thompson’s win, British heavyweights had a good night all around when combined with the co-main event that unfolded earlier in the evening. Kickboxing standout Chi Lewis-Parry left his own impression on the Abu Dhabi crowd in his fight while showcasing his world class striking acumen against Ibrahim El Sawi. From the start of the fight, El Sawi was obviously doing his best to avoid the size and reach advantage from the 6’10” giant who has trained with the likes of UFC heavyweight champion Daniel Cormier throughout his career. El Sawi did everything possible to get inside but time and time again Lewis-Parry was able to shrug him off or reverse positions to get a takedown of his own. Lewis-Parry did a lot of damage towards the end of the opening round while bludgeoning El Sawi with punches and elbows but the round ended allowing the former Glory kickboxer the chance to get back to his feet. Lewis-Parry (7-0-0-2) immediately followed El Sawi (6-6) to the ground where he began blasting him with elbows until the referee finally saw enough to call a stop to the contest. 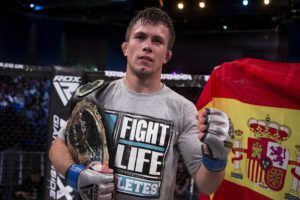 It was a statement win for Lewis-Parry as he looks to build on his resume in mixed martial arts after returning to the sport last year.